H2R, Inc., a US marketing agency with expertise in casino marketing and operations, and IQR Consulting, a business analytics service provider, have agreed to work together in providing data analytic & predictive modeling especially designed for gaming and casinos. 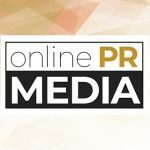 Online PR News – 12-October-2012 – Loveland, CO – H2R, Inc., a US marketing agency with expertise in casino marketing and operations, and IQR Consulting, which provides business analytics using an integrated onsite/offshore business model from offices in the US and India, have agreed to work together in providing data analytic and predictive modeling especially designed for gaming and casinos. The resulting cross-functional team brings together the expertise of both companies to provide best practices in using data analysis to attract the best and most profitable players to casinos. Established in 2008, IQR Consulting Data Analytics provides research and analysis that has helped Fortune 500 and small to medium sized companies to transform data into decisions. Its expertise includes analytics solutions, modeling and forecasting analysis, marketing research, database design and support, product reviews and assessments, custom reporting, business strategy and consultation. The company is named for its mission to deliver Insightful Quantifiable Results. A white paper on how analytics can change the game for casinos entitled Analytics: A ‘Moneyball’ For Gaming is available. Corporate website: www.iqrdataanalytics.com. Loveland, Colorado-based H2R, Inc. is the premier direct agency specializing in the gaming industry. The firm provides comprehensive direct marketing services including database analysis, predictive modeling, direct mail programs, award-winning creative services, e-mail, interactive & social marketing and web design to casinos clients. For more information, visit www.H2RAgency.com.